As a blog owner you must be thinking quite often about boosting your blog income. 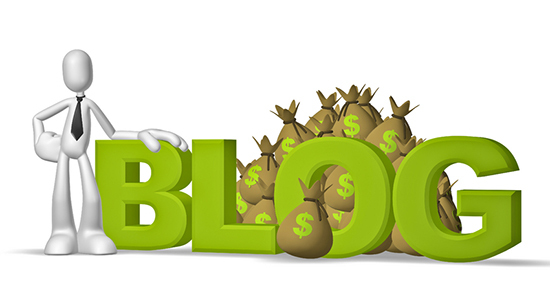 Monetizing your blog requires combination of various tips and tricks.Following tips will surely help you to boost blog income. Following these will ensure that your blog not only helps you earn handsome income from the same but also helps one establish their niche in the competitive world of blogging. To boost one’s prospects in the competitive world of online blogging one must be sure of their place in the market. This essentially means that one should know of the kind of audience that one is catering for. It is a common fact that bloggers fail because they do not concentrate their efforts in the direction of identifying their audience before they get into blogging. Testing waters before venturing into any field is imperative for success and the same rule applies to blogging. The best course of action to pursue is to get advice from friends and family before taking up blogging on professional level. The critical remarks that one gets from well wishers will surely inspire you to make the blog interesting and informative. This will ensure that once the blog comes in public preview, it will have a professional look and you will be able to earn substantial revenue from the same. Spending time on the designing aspect is as important as writing creative content for the blog. All the aspects of creative designing be it specific space for posting comments, dedicated advertising areas and streamlined planning, so as to give a uniform look to the webpage needs to be done. Remember, more the effort you make for having creative designing, better would be your prospects to attract readers to the blog, thereby helping you make some quality value in terms of money too from it. A common mistake that most bloggers make is to get carried away by the intensity of product or service they are defining about. As a blogger your key efforts should be focused in the direction of connecting with the reader. More efforts you make to identify with the reader better are the chances of your becoming popular with your readers. Always write for the reader. A better way of gauging the mood of the reader is to connect with people. You can always share your ideas with family before you give them a practical shape. The kind of interest your family shows in your ideas or the suggestions that they make will go a long way in shaping your future. Your family and friends represent the common sentiments of the public and by incorporating these ideas in your writing, you will be doing a great lot for your endeavor. A well beginning is worth half the effort made. This holds true in case of blogging also. All your efforts irrespective of the fact that you have done quality research in order to come up with the content can go waste in case you do not pay much attention to the headlines. You need to come up with a real creative headline and that too having some keywords, so that it shows up in results of search engines. Tools as Google AdWord can be used for the same. Another aspect that needs to be kept in mind is that the headline should be under 140 characters all the while. This is the maximum number that shows up and your efforts can go in vain if the character number goes beyond this limit. Building the brand is as much relevant as it is to write creative content. As a beginner, you might not be in a position to spend a worthy lot on brand promotion. Thankfully the advent of social media has made things easier for bloggers like you. Have a Facebook page for your blog and promote it among your contacts. Ideas spread at a much faster pace via the social media today and it is only time before everyone in your circle will get to know about your endeavor. Twitter and Google plus too can be used creatively to build the brand. The idea of having a weekly e-newsletter too can be considered. Mail the same to your personal and business clients and see the difference it makes to your social presence. Your ideas will spread by word of mouth and with time readers will start connecting with you, thus helping you boost your blogging income through various means. Try the above listed tips to boost blog income and watch your presence in social circles touch a new high.